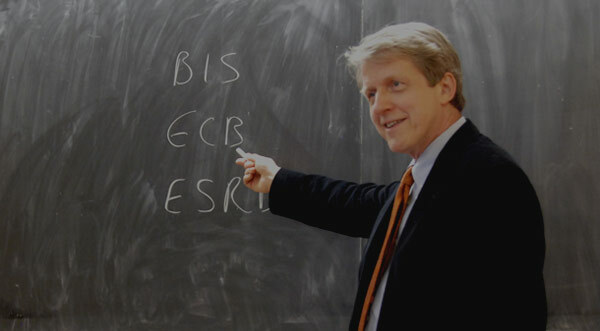 To begin the lecture, Professor Shiller elaborates on the difference between forwards and futures and on the role of futures markets to infer future prices for the underlying commodity or financial asset. Generalizing the discussion beyond futures markets to derivatives markets, he assesses the issue of speculation in those markets and its impact on capitalist activity. Subsequently, he introduces the notions of counterparty risk, standardization of contracts, and clearinghouses within the framework of the first futures market, the market for rice futures in Dojima, Japan. While describing wheat futures, he addresses the price patterns of contango and backwardation, margin accounts that help alleviating counterparty risk, as well as the fair value formula for futures prices. The third commodity futures market is the oil futures market, which leads to description of the history of the oil market in general from the 1870s, to the first and second oil crisis, until the oil price spike in 2008. Professor Shiller concludes this lecture with financial futures, specifically S&P 500 index futures, touching upon the difference between physical delivery and cash settlement. There are different ways of viewing it. Futures markets for things like agricultural commodities, or interest rates, or financial securities, are markets about the future. They’re markets that, in some sense, predict the future. And future matters, right? We live a life. We have a long horizon. I said before, I think that your planning horizon must be at least a century, because you’ll probably live that long anyway, with modern medicine. And you care about other people, too. So, the beauty of futures markets is that we have prices for the future. We talked already about forward markets. We talked about forward interest rates. And that is related to what we’re talking about. Forwards and futures are similar concepts. Futures is the more precise concept, or the more developed concept. And I’ll explain the difference between forwards and futures. But just in a nutshell, futures markets are organized markets, like the stock market, that trade standardized contracts, representing things that will happen at future dates. And because they’re standardized, they’re worldwide. Everybody looks at them and uses them. Whereas forward markets are more specialized markets that, typically, are not as easy to interpret or as clear. So, futures markets are, in some sense, more fundamental and important. I have a particular interest–I’ve been interested in futures markets myself for many years. And wondering, why they’re not even bigger and more important. So, in 1993, I wrote a book called Macro Markets, about let’s make our markets bigger and more important, and more pervasive. And I’ve been trying to do that. Notably, in 2006, I was working with the Chicago Mercantile Exchange, which is the biggest futures market in the world. And we created home price futures. And they’ve been trading now for five years. But I’m not really going to talk about them, because they have so far disappointed. They’re not important, at least not yet. But I’m going to talk about some important futures markets. First, I want to put just a couple of definitions up. Futures, that’s what we’re going to talk about most in this lecture, and it has a special meaning in finance. And I was contrasting that to forwards. But both of these together are derivatives. And that means that the price in these markets derives from a price in some other market. There’s a primary or underlying market, which has its own price. And then there’s a derivative market that has a futures price or a forward price. I guess I’m speaking in kind of abstract terms. Well, let me just start–I want to give you an example, and we’ll see better what I’m talking about. But let me just first comment just on this word, derivatives. To people in finance, derivatives are an exciting development of financial markets. We start out with a simple market and we develop derivative markets, that add more detail and information than was in the underlying or primary market. That’s exciting. I find it exciting. However–I don’t know how often you hear this word, derivatives–it’s become a four-letter word. It’s become an ugly word. Why is that? I think it’s, because people blame the current financial crisis on derivatives, whether rightly or wrongly. And it’s because, I think, there’s a public anger about derivatives that is largely due to misunderstanding. I mentioned before that I think that finance tends to attract sociopaths. I mentioned that, I defined that for you. People who want to manipulate, and fool, and deceive people. But I don’t think the financial community is particularly populated by sociopaths. You might think so, reading some accounts. But I think, it’s not true. And I think, it’s not true, because the financial community knows about this problem and ejects such people. They get caught. And you can’t make a career in finance if you’re a sociopath. So, if you think you have this problem, that you have sociopathic tendencies, I would advise you not to go into finance, because you will get caught and ejected. So, save yourself the trouble. Don’t go into finance. Pick some field where you can’t hurt anybody. And that would be a smart thing to do, if you have such a problem. So, I think we need to regulate derivatives markets, and that’s what I’m talking about. And we need self-regulation of the markets themselves, but we need government regulation as well. But there’s nothing evil about derivatives. And in fact, derivatives are fundamental to the way I think a modern economy works. So, I had you read an article–I put it on an earlier section of the reading list–by Charles Conant, who wrote a book in 1904 called Wall Street and the Country. And you should have read that by how. He starts out by saying, it’s just amazing, how public opinion thinks that speculation is evil. And they don’t understand that speculation is just business. I mean business decisions involve guesses about the future. And so, when you have well-developed markets, these guesses become market prices. And so, the prices go into the calculations that everyone makes. And the calculations are just done better. And we were talking about how antagonistic Russians are toward capitalism. And he said this is a big problem. Russia just can’t embrace capitalism. These people hate it. They hate the profit makers and the financiers. And I said to him, well, you know, it’s the same in the U.S. How do you know it’s any worse in Russia? What do you think, people said? Does the process of speculating in grain cause problems or solve problems? Well, we found that, in the USA, 66% said, it will make shortages more common. But in the Soviet Union, in Moscow, only 45% thought it would make shortages more common. Both of them were wrong. A lot of them were wrong, but the Russians were better, closer to the truth than the Americans. Living in the financial capital of the USA, most people think that speculating in grain creates problems. But wait a minute, what is speculation in grain? That means holding it off, expecting higher prices later, right? Isn’t that what you have to do if you are managing a grain market? Now, think of it this way–and I’m coming now to agricultural futures. In the simplest world, there’s one harvest of wheat every year, OK? And that harvest comes in a certain time of the year, every year. Once a year. And it has to be held in storage over the year, right? Because people don’t eat it all at once. You eat it over the whole year. So, somebody is storing grain. This is a fundamental problem, OK? That’s a business. So, you have to know that somewhere there’s some warehouse holding the grain that you will be consuming in six months time. And that warehouse is run by some professionals who do that. If they think prices are higher later, they’ll keep it longer in the warehouse. And what does that do? That evens out the price. It doesn’t make it worse. If they think there’s going to be a shortage of grain, they hold it back now and the price of grain goes up. And so, everyone starts consuming a little less because of the higher price, and it smoothes things out and it works better. And this is elementary economics, but it’s not understood, I think, by most people. And the futures markets are just sophisticated markets that help that process. So, I’m going to start with agricultural futures in talking about this. And I want to start also with a very homely–it’s not homely–it’s a very elementary example, because it’s the first futures market. So, where do you think futures markets started? You would think, it started in New York, or Chicago, or London, or Paris. It actually started in Japan in a place called Dojima, which is in the city of Osaka. And they started in the 1600s. So, let’s go back. If we can go back to the year 1673, in Osaka in Japan. Japan was heavily dependent on rice, OK? And the rice farmers would farm all over Japan, but there was a rice market in Dojima, which was the national rice market. And I have data here. According to a study, there were 91 rice warehouses in Dojima in 1673. That’s a long time ago, isn’t it? So, it was a big storage place for rice, and they were storing it all year. And people would come, people who were merchants for rice, and they would come to Dojima and they would sign contracts to get rice. I live in some town 20 miles from here; I’m a rice merchant. I need a regular supply of rice from your warehouse. Can you supply it to me? And the guy would give you a terms, and that would be a forward contract, OK? And this is what was happening before the futures market. Forward contracts precede futures contracts. So, do you see what it is? You’re a rice merchant. You make a deal. You sign a contract that I will pay you so much in currency at every month, and you’ll give me so much rice. And you’ll deliver it here, and I’ll take it, and I’ll sell it in my town. Problems developed in the forward market that led to the development of a futures market. And the problem is, one of the problems is that there’s counterparty risk. You are a rice merchant. You make a deal with a warehouse. That’s one person dealing with one person, right? What if one of the guys reneges on the deal? So, for example, what if the price of rice falls? Then you, the merchant, will say, I’m not going to go back and buy according to this contract, because it’s cheaper now, right? I’ll buy it somewhere else. So, I just don’t show up, and then the warehouse is saying, what happened to our contract? And you’re nowhere to be found, OK? Or if it goes the other way, if rice goes up, the warehouse might renege. They’d say, we signed this contract but there’s something wrong with it, and we’re not going to honor it. So, it messes up. It is also possible that one of the two counterparties is just a sociopath or something, or is an alcoholic, or something is wrong. So, the market doesn’t work well. So, what they invented in Japan was the first true futures market. And the market worked like this. There was a trading floor in Dojima, and rice traders would come there, and there were certain hours of the day, when you would trade contracts for future delivery. But they were standardized contracts, mediated by the exchange, so that there would be no problem with the contract. And then every day, there would be a trading time, and you could buy and sell contracts for future delivery. Moreover, they enforced trading hours. And this is something that’s kind of an interesting invention. They didn’t have–I guess they didn’t have clocks. I don’t know what they had. But they had a certain time, when trading would stop, and they wanted to stop all the trading at the same time. They didn’t want people dribbling out. They wanted it to be a good market. So, they would light a fuse, and it would be a bright light in the middle of the trading floor. And you’d see the fuse burning down, and when it burned out, all trading stopped. So, they had trading hours. Moreover, they had a problem that some of the traders wouldn’t stop trading. So, this is something that they did in Dojima, they had men called watermen, who came out with buckets of water. And they would throw the buckets of water on anyone who was still trading. So that worked. It stopped trading. They also had hand signals. This was big. This is big time. You were trading rice for all of Japan. And you may think the 16- or 1700s are long ago, but a lot of rice was traded and it got really noisy and difficult. They found that it was so many people trading on the floor, that you couldn’t hear anyone talk. And there’d be shouting and noisy, and so, they devised a system of hand signals. And the Dojima hand signals were, I don’t know exactly, but something like this. If your hand was out, you put your hand out, that means sell. You put your hand this way, it meant buy. And if you put three fingers up, it means selling three contracts. That kind of thing. I don’t know the whole system, but that’s where it started. That whole concept was copied all over the world in subsequent centuries. So, what is it that happened? And the other thing is, what were the contracts that you bought and sold? The problem with the forward market is that the contracts are all different. One guy made a contract with one guy, and he said, I want my delivery here. And I don’t like this kind of rice. I want this kind. And better make sure that there’s not a single insect in it, or I’m going to reject the whole thing. But that’s all different. So, you don’t know what–these contracts, you don’t even know what the price of rice is. If someone said, I paid so much to get rice in the–but you have to say, well, under what circumstances? And what kind of rice? And where? And what are the terms for possible failure? You know, there’s so many terms in the contract, so you don’t even know what the price of rice is. But at the futures market, they standardized the contract. So, it may not be exactly what you want, but it’s standardized. So, you deliver rice–I don’t know all the details of Dojima, but I’m talking about futures markets, as they evolve. In a modern futures market, agricultural futures market, you deliver your–the contract is to deliver some commodity like rice at a specified future date, at a specified future warehouse, which would be run by the exchange. And there’s inspectors at the warehouse who are expert on grain. And they verify, because they know rice. They know it really well. And they know that some rice has bugs in it. They know how to find out. They have a standard. Of course, there can always be some bugs in it, but they have a standard and they have a way of measuring, and they get it right. And so, all those contracts are exactly the same. And so, they become the price. It turns out, funny thing, the futures market almost becomes the real market, because they’re all standardized. The futures price–You know where it’s delivered. You know what’s delivered, exactly. The futures market becomes the market, in a sense. The fact that it’s in the future is, in effect, a help, because since it’s a comfortable time in the future, it’s well defined. Whereas the spot market–the spot market is the market for rice, or whatever it is, today as it’s traded, OK? The spot market is inscrutable. It’s hard to understand. So, let’s think about a farmer today, who grows rice, or wheat, or soybeans, or something. If you drive through farming countries, listen to the radio, regularly they’ll give prices. Soybeans, wheat, rice, et cetera. Why do they give that? Because farmers care. They’re raising this stuff. It’s their whole livelihood, whether they make a profit or not, depends on it. What prices do they quote? They quote the futures prices, even though they’re in the future. But they quote them, because they mean something and they’re standardized. So, that’s why the futures market becomes the central market. I want to just say something about future–Japan started the futures markets in the 1600s, and they were the world leader in rice futures until 1939. And then, at World War II, the Japanese government shut the futures market down. And to this day since, there is no rice futures market in Japan. Believe it or not. The inventors, they’re talking now of starting it up again. Where do they trade rice futures? Well, it’s the USA is the main market, even though you don’t think of the U.S. as a market for rice. But the point is, that markets have to be centralized. And that people want the centralized market, and if it happens to be in Chicago, so be it. So, it becomes a huge international rice market. And so, I looked up–this is called Rough Rice Futures, and this is the futures curve as of last Friday [addition: March 18, 2011]. So, what we have is different delivery months. This is May of this year. And then, there’s other delivery months, and then there’s next year. It goes out about a year, different delivery dates. And this is cents per 100 weight. 100 weight is 100 pounds of rice. And since this is USA, we mean 100 U.S. pounds of rice. But anyone in the world can figure this out and trade in this market. And it’s in dollars, because it’s what we’re trading in the USA. So, someone in Japan, who wants to trade in the futures market, has to come to the USA, change their yen into dollars, and do this. Now, you see that the futures price is going up. This was all quoted last Friday [addition: March 18, 2011], OK? This is the market, essentially, right now. But you see, it’s a futures market, because it’s giving prices of rice at dates in the future, OK? These prices way out here, next year, are not so reliable, because there’s not much trade. The trade tends to dominate at the front months. So, here’s where most of the trade is. They’re trading May, and maybe this is July. I forgot exactly. Is that clear, what this means? It’s going up. And it’s going up pretty fast, isn’t it? From about less than 13 cents to 15 cents. What this means is that, in effect, the market is expecting huge increases in the price of rice, all right? So, that’s interesting. Anyone who’s doing business in rice looks at this and says, look, there’s price increases anticipated. Now, I just want to talk about the world at this point in history, and try to interpret this curve right. You must have heard that there is a food shortage in the world developing. And it’s a source of crisis. It’s developing in the Middle East. One reason why that’s been given for the revolutions that have happened in the Middle East are, that people are hungry. There’s dissatisfaction when the price of food goes up. A lot of people are living much more at the margin than you’d imagine. So, this increase in rice prices matters a lot. So, it’s very interesting that it’s showing this steep increase in the price of rice. But the first thing you want to think of as a financier is how much is this going up? I didn’t actually do the calculation. It goes up from 14–under 13.75 to 15.5. That’s quite an increase in six months, right? So, it sounds like there’s a profit opportunity here, right? Buy rice today and sell it on the futures market. This is a good time to sell it. I’ll sell it in 2012. And that’s my futures profit. I can lock in this price today, because that’s what the futures market does. The contract is a contract to deliver rice as of that future date, and this would be in Chicago, OK? And so, I could make a profit. This is a very professional market with real expertise. You talk to the rice traders or the wheat traders; they know what they’re doing. Believe me, they know what they’re doing. We’re looking at this for the first time. People who trade this all their lives. And if you ask, why is it? Look how much it’s going up, this is a big profit opportunity. They’ll tell you, why it isn’t. Why it isn’t such an opportunity as you think. There must be some reason, why I can’t make huge money by trading in rice, because otherwise other people would do it. This is such a liquid market, open to everybody in the world. So, somebody’s going to take advantage of this. You understand, this is futures prices quoted as of a single date, for various horizons in the future. Don’t get confused by it. This is not a plot through time. This is now. This is what’s quoted now. And so, when you have an upward slope in futures curve like that, we call that contango. And that is what we usually see, maybe not upward sloping so much as this. The opposite is called backwardation, if futures prices are declining through time. That happens, and I’ll show you that in a minute. But it’s not happening in rice. So, not happening now in rice. It must be that there’s something that prevents you from just making a killing by buying rice, selling it on the futures market. Do you understand, this is riskless? If I sign a contract to sell rice in Chicago on the futures market, that is riskless [addition: only if I own the underlying commodity]. And so, why don’t I just do that? I think that there must be some, in some level, there must be some storage cost problem. In order to actually do this, you’d have to buy the rice and store it for six months. And I’m thinking, that must explain it. It must be that at this point in time, storage costs are, in some sense, too high for this to be a real profit opportunity. So, this is what happens now in the real world. There are people who store rice. There has to be, right? I think, rice comes in more than one harvest, because there’s different kinds, but there’s no more than a few harvests in the year. And some of them are bigger than others. And so, it’s got to be stored. And this really, really matters, because if it’s not stored, some people are going to starve to death. So, it really matters. And you have professional warehouse operators, who–they sure do know what this curve says. And they’re thinking, right now, I’m sure lots of people looked at this curve yesterday, and they thought, look at that contango, wow. I’m going to see if I can get some other warehouse. Can I get another one? There’s an empty building on the south side of Chicago, maybe I can fill it up with rice. And so, I have to look up, and I have to get inspections, and sanity checks–sanitation checks. And think about insurance. And they’re thinking about that. But, you know, they find out that it’s not going to work, and they’re trying. This generates, when you have a lot of contango in the market, it generates enthusiastic efforts by smart people to try to store more rice. And you see, what that’s doing. It’s helping prevent a famine. And this goes back to–I know, I’m putting it in dramatic terms–but this goes back to Adam Smith, who in his Wealth of Nations in 1776, has a famous passage, which I can’t quote exactly, but it was something to the effect that, you know, there’s a lot of people who express benevolent impulses. They give to charity. They go to church regularly, and they talk about ‘love thy neighbor.’ But they’re not doing a single thing to prevent the next famine. They’re not thinking about it. The people who are really effective are these quiet guys dealing in the markets. And they see a contango, and they see something coming. And so, they get in the business of storing. And it’s purely out of self interest. So, the famous quote that is quoted a million times from Adam Smith is, these people operating in their own self interest seem to be more important in promoting human welfare than all the benevolent people combined. I’m quoting him roughly. Well, there has to be an element of truth to that. You know, people who do these storages of grains do not get much respect. And at dinner conversations, nobody cares what they do. They’re really good at what they do, and they know this market. And, you know, they’re not saints, either, right? They’re speculators. They’re trying to make a profit. Now, one thing I wanted to say about futures also, which I didn’t really clear–in forward markets, which are markets between a pair of counterparties, there’s always counterparty risk. I’ll write that. That means you’ve got a contract. You had a lawyer. A lawyer wrote up the terms. You can take this guy to bankruptcy court or something, but that’s all a nuisance and it costs money. You never know. Futures markets get rid of counterparty risk, or essentially get rid of it. And how do they do that? The system is a standardized retail market that anyone can play in, but you have to post margin–and that’s the idea, margin, when you either buy or sell futures. OK, so this is what happened. This is what a futures contract looks like. You can do this. I don’t know what would happen, if you called up a broker at your age, but essentially you can do this. I know, Jeremy Siegel, my friend, said, he would actually lend money to students and let them play the markets. His own money. I have never done that; so don’t ask me to do that. But you can basically call up a broker and say, I’m interested in rice futures. It sounds like fun to me. I’d like to play that game. So, the broker would say, fine, I’ll open a margin account. How much money are you going to put in? All right. The first question is, money, OK? He doesn’t know who you are, but money talks, OK? So, you say, all right–you have to come up with some money to do this. Let’s say, I’ll put in $5,000 into a futures account at your brokerage. And he would then say, OK. Now, you have $5,000. And the margin requirement for rice futures, I don’t remember what it is; say it’s something like 3% or 5%. You can buy or sell up to the limits imposed by your margin. Your margin has to be whatever percent of the contract that you sign, OK? You’re only putting up $5,000, I’ll let you buy and sell $100,000 worth of rice. So, this would happen. You say, OK, I want to buy–what do I want? What do I want to do? I’m going to store rice, and then I want to sell it. So, I want to sell futures. It doesn’t matter, whether you buy or sell. Either way, you’ve got to put up money. Let’s say, I’m going to do this rice storage business. I can do it. It’s open to anybody in the world. I can find a warehouse. I can buy some rice. I can store it. And I can sell it at that price. So, I want to sell futures, OK? I can sell $100,000, even though I’ve only got $5,000 put up. But then, you know what happens. Every day, they look at the change–the futures price is the price on that contract today, but it’s not a price that you pay today. You would pay it at the end, effectively, when the contract comes due. Or in the case of selling, you’d be receiving it. So, if I sell futures for, say, May of 2012, then I am promising to deliver rice to the warehouse in Chicago on that date in 2012, and take the price, OK? OK, but now, the futures price today is the price that the market has today. Tomorrow, the futures price will be different. And so, what they have in the futures markets is daily settlement. And that means that if I sold futures–I’m storing rice and selling futures. If the price goes down–I’m sorry, if the price goes up–it works against me, because I’ve locked in the lower price. So, the broker debits my margin account by the daily, every day they change my margin account. So, if I’ve sold futures and the price goes up, they take it out of my margin account. If the price goes down, they put it into my margin account. And I can quickly deplete my $5,000, right? The post price keeps going up. Then I say, gee, I wish I hadn’t signed that contract, because I could have waited a few days and gotten a better price. Meanwhile, the broker calls you on the phone and says, I’m sorry, your margin account is almost depleted. Do you want to put up more margin? And this is where you get the reality of futures trading. Because there’s no counterparty risk. That means, that if you don’t put up more margin, the broker closes you out and says, here’s your money. Do you understand how this works now? So, there’s no counterparty risk, because it doesn’t matter, whether you’re a drunk or a sociopath, the broker has you trading. And it doesn’t matter at all what you do. Once you put up the money, and if you just don’t answer the phone–if you, say you don’t answer the phone, the broker will close you out, when the margin is depleted. So, the broker takes no risk. The counterparty is not even given to you. You don’t even know who’s on the other side of that contract, because the other side is making–you’re both making a contract with the exchange. And so, you don’t care about counterparty risk, and there’s no risk to this contract. That means, these prices are pure prices, and they don’t have any counterparty risk. I wanted to show you another futures contract. This is Soft Red Winter Wheat, which is a major crop in the U.S. Winter wheat, you plant in the fall. Believe it or not, some people are surprised to hear this. You plant it in the fall, and then it stays in the ground over all the winter, and it comes up really early in the spring. And then, it’s harvested in early summer, OK? And the Soft Red Winter Wheat is very good for biscuits, and cold cereal, and cakes, but not so good for bread. So, it’s a particular kind of wheat that is grown. So, this is the futures curve, as of Friday [addition: March 18, 2011], for this. And this is in cents per bushel. So, this is the front month future, and it’s–looks like it’s 723 cents, $7.23 a bushel. And now, we see this sharp contango again, and the right prices are going up really rapidly through time. Again, this is all prices quoted last Friday. This is futures contracts and different maturities. And then, you see sometime around summer of 2012, it loses contango, and it becomes, actually, declining. And then, this market goes out to 2013, and stops. That’s as far out as they trade futures. So, why is it declining in 2012? Well, there’s probably a million factors in it. You need to talk to a futures expert. But I think, one thing that comes to my mind, is the harvest, right? And so, they harvest grain sometime around that time. You know, you shouldn’t be storing grain at the harvest. This contango is a compensation for the cost of storage, right? So, you shouldn’t be storing grain in the harvest time, right? You should be clearing out your warehouses, and sweeping them out, and cleaning them up, and waiting for the new harvest to come in. So, you don’t expect contango to continue then. There’s a seasonal–it’s not so clear here. It’s not dropping very much. I don’t know, there’s many factors that determine these prices. But I wanted to just give a little bit of simple mathematics about futures pricing. The basic formula is that–you have to think of futures markets as storage markets. And the basic equation is, that the price of any futures contract, pf, is the futures price on one of those dates, is equal to (1+r+s), times the spot price, OK? Where the spot price, ps–I’ll write it out, pspot, is the price today, OK? Now, this is kind of theoretical, because I just told you, nobody ever knows what the price today is anyway, because the only way you ever know prices is through futures markets. But let’s just think a little bit abstractly. Say, there’s a cash market for wheat, that it’s bought and sold with. And we know what the price is on that market. So, this is the interest rate between now–it’s not the annual interest rate. It’s the total interest as a percent between now and the maturity of the contract, OK? So, if it’s one year and the interest rate is 5%, then r is 0.05. But if it’s one and a half years, it’s going to be more like 0.075, because the total interest between now and one and a half years in the future is 7.5%. And s is the storage cost, OK? So, this is called fair value, and what it means is, normally you think futures prices should behave like that, OK? So, the normal situation in futures markets is contango, which means that prices are normally going up through time, because the longer in the future we’re looking at, the longer time that we’re losing interest and storage. See what this really is, this fair value equation, is just the equation that defines, when it is that there’s just no profit to storing grain, right? There’s only a normal profit, right? If people who do it–this equation can’t hold exactly. Or if it held exactly, then no one would store grain, but it has to be approximately valuable, OK? So, do you see? How else do I say this? It shows that normally the futures price is above the spot price. And as time goes on–I don’t mean time in this sense, I mean calendar time–the futures price will converge on the spot price, because the interest rate, the horizon for the interest rate and the storage costs–this is in percent, and this is in percent–goes down. So, let me just clarify that. Let’s talk about a perfect world, where there’s no harvest uncertainty, nothing happens except the crop is normally produced, OK? And it’s wheat, OK? And let’s say–I’m going to do a plot. And this is time. This is calendar time, not maturity time like on this plot. And this is the price of–I’m going to plot the price of wheat. Now, what does wheat do over the year? It has a seasonal. I’m going to do an abstract form of seasonal. This is what the price of wheat does. And this is a year. This is year 1, this is year 2, this is year 3, year 4, all right? This is the price of wheat in each of these years. It falls every harvest time, right? It has to be rising until harvest, because somebody has to be storing grain, and the price has to go up, because they’re facing storage costs. And then, every spring, every harvest time, it collapses. And it does it again every year. No uncertainty. What do futures prices do? Well, let’s consider a futures market that’s–a futures contract that has a maturity right here at the peak, just before the harvest, OK? But if there were no uncertainty, the futures price would just be constant throughout that whole time, right? It would always equal the expected spot price on that future date. And again, it would repeat the next year. Futures contracts have no expected price change in this perfect world. Do you see what I’m saying? This equation always holds, because, as this contract matures, the time to the expiration date goes down. And so, this r goes down, and s goes down. And eventually, it hits 0 on the expiration date. And the futures price equals the spot price on the expiration date. But in reality, we don’t see such a nice and perfect match. I want to talk about another futures market, which is maybe the most important futures market of all. I’ve been talking just about agricultural futures. Agricultural futures are the origins of futures market. And I like to talk about them, because I like to imagine–well, our ancestors all lived on farms, once in the past. And it just seems like such a family story that we all should know about farming, right? It’s our history. But now let’s move forward into other–we can have futures markets for oil as well. So, this is last Friday’s [addition: March 18, 2011] futures curve for Light Sweet Crude Oil. This used to be at the New York Mercantile Exchange, but the Chicago Mercantile Exchange has been buying everybody up. And now, it’s the CME. They call it the CME Group, actually, Chicago Mercantile Exchange Group. And this is the price of oil. Look, what’s happening here. Isn’t this something, this curve? The price of oil as of last Friday, on the nearest month future, was selling at $101 a barrel. It’s gone up a lot. This is part of the crisis now around the world. People need food and they need oil. Incidentally, the two markets are related, because we can turn fuel–we can create fuel from food by using grains to produce ethanol, and that substitutes for oil. So, it’s not independent. These two markets are not independent. Now, oil is so important. It’s the energy that drives the world economy. And any events, like the recent earthquake in Japan and the nuclear disaster in Japan, it affects this market. Everyone’s thinking, what does it mean for oil? Maybe, we won’t have so many nuclear plants anymore, so that’s going to mean, oil’s going to go up. People are thinking. The other thing that’s happening is, at this point in history, there’s a crisis in the Middle East, and it’s cutting off the flow of oil. So, people are trying to predict it, and those predictions come into this market. So, here’s what we see. We see right now, the market is predicting increases of oil until December, and then, a collapse of oil prices, bottoming out in January of 2015. This market goes all the way out to almost 2020. That’s a long time. That’s because it’s such an important commodity. So, this futures curve matters for–the total value of oil in the ground in the world is probably over $100 trillion. It’s bigger than the GDP of just about any country. It’s huge and important. And people who are thinking of extracting their oil, they’re looking at–everyone’s looking at this curve. So, why does it peak in December 2011, and then collapse? I’m guessing that has something to do with the crisis in the Middle East, that the people who trade in these markets are thinking, that the crisis will be over by then and prices will start coming down. So, we’re seeing contango here, and backwardation here. I’m using a simple definition of contango and backwardation. There’s more subtle definitions, but we’ll keep it simple. We’re seeing an increase, expected in oil prices, and then it decreases. And then, it has it going up again. Is this right? Well, if it isn’t right, there’s a profit opportunity for you. If you know better, you can get in and you can do it with, I think, all you need is something like $5,000. I’m not trying to entice you to trade this, but I’m just trying to give the idea of what these markets really mean. That the oil, it means survival for people. I mean, oil and food are what keeps people going and alive. And there’s not enough. There’s not enough for everybody. And so, this market is all about extracting oil at a good rate, thinking about when to sell it, so that it, ultimately, I think, serves the purpose of humanity. So, the futures price has to be greater than the spot price. I just wrote that, right? But you can see that this futures price, this is essentially the spot price. This is the front month future, it’s about to expire, so it’s converging. And this is what we call the price of oil. When you hear oil prices quoted on TV or in magazines, they’re quoting the front month futures. Let me be clear about that. Oil is mostly sold on long-term contracts. So, just like our rice merchant, buyers of oil are typically–who buys crude oil? It’s some refinery. They’ve got a big operation and they refine oil. And they care about, what kind of oil do I get? And when is it going to be delivered? And what are you going to do for me, if it’s not delivered on time? They have complicated delivery contracts. Almost all oil is sold through that. So, what is the price of oil? You can’t figure it out. There’s just too many contracts and they’re all different. There is a spot market for oil, but that’s just overflow. You know what happens? There’ll be some mistake. Someone delivered too much oil to the New Haven harbor, or someone reneged on a contract, now I’ve got this extra oil. It goes on to the spot market, but that market is tiny and is not reliable. You don’t know what kind of oil it was, you know, it’s all different–what the issues are. So, when you hear oil prices, you’re hearing futures prices. So what’s happening? How can it be that the futures price in 2015 is lower than the price today? Well, there is something funny going on. I’ll tell you one thing that it does mean to me, is that nobody is planning to store oil between now and 2015, at least not as a storage business. Because I’m going to lose money, right? I’m going to be selling at less, unless I have negative storage costs, OK? I’m not going to store oil between now and then. I’ll store it for now. So, that means that people are kind of trying to store a lot of it now, because the contango is there, but it’s going to end in December, and then they’re going to empty their storage tanks. That must be what storers are thinking. So, this thing doesn’t always hold. This only holds when there’s commodity in storage. Or you could say, well, it still holds even when you have backwardation, because, in some sense, storage costs can get negative, OK? And so let me just talk about, there’s a term that they use called convenience yield. When the futures curve is in backwardation, somebody is still going to be storing oil, right? So, suppose I have a factory, and my factory depends on oil, because I use it to burn, to produce whatever we make. Am I going to let my warehouse, my storage tank of oil go dry? No, I’m going to need some, just because we might need more than we think. We might have a buffer stock. So, that means, I actually have negative storage costs. I always want oil. I don’t want ever to let my tanks go dry. So, the only people who are storing oil, when you have a backwardated futures market, are the people who want convenience yield. Now, I’m omitting some subtleties here. I’m sorry, but I’m trying to make the basic point, that this equation holds when the commodity underlying is in storage. But it doesn’t always hold. So, now I wanted to talk about oil a little bit more, because it’s so important. I have here the price of oil. I like history. I like to give you long history. I wanted to give you the price of oil back to 1871. And this is, well, U.S. oil price in U.S. dollars. But I’ve corrected for inflation, so it’s real oil prices from 1871 until just a short while ago, last week [addition: data ends on March 18, 2011]. And now, in recent years this is the front month oil contract. The oil futures market started in the 1970s, so this is all the front month futures contract. Before that, this is someone’s guess as to what the price of oil was, because there weren’t such well-developed markets. We didn’t have oil futures until the 1970s. So, I wanted to think about what was happening at these various dates. These early swings in the 1870s were due to discoveries of oil, and discoveries of uses for oil. Pennsylvania oil was discovered somewhere around this time [around 1860] in the United States. Texas oil was discovered somewhere around this time [around 1900] in the United States. Our economy wasn’t so dependent on petroleum. Actually, if you look up ”oil” on ProQuest, back in 1870 they didn’t even call it oil. They called it petroleum, because what was oil? What did they think oil was in 1870? Whale oil, OK. It was different, different world. So, we see a lot of jumping around of oil prices. But we see a big surge going into the 1890s. And there was a big scandal about Standard Oil. Remember that? And the government eventually busted up Standard Oil as a monopoly. So, they were starting to get concerned about oil. But then, if you go forward in time, you see this interesting pattern here. What was going on here? The price of oil became very stable, until, bang, there was this huge upswing in oil. Well, what was happening in this interval of time? In the ’40s to 60’s, the U.S. was a big producer of oil. It kind of got started here, oil production, with Drake’s invention of the oil rig. And the U.S. was the biggest producer of oil. And during this period, when you see oil prices were very stable, the oil prices were actually stabilized by the–it was produced mostly in Texas–Texas Railroad Commission. It says railroad, but it was a government agency in the state of Texas, which worked to stabilize oil prices. But during this period of time, the U.S. was depleting its oil, and other oil discoveries were coming in. And so, this whole period–this is before there were any futures markets, because there was no reason for a futures market. Oil prices were very stable. And then, you see, here, a sudden jump up in oil prices. And this point right here is called the first oil crisis. So, the first oil crisis, it kind of stands out on a diagram, right? Looking at the whole history, if you exclude those early fluctuations in oil that you see in the 1870s, which were not really so important, because people weren’t really so dependent on oil. So, the first oil crisis was 1973, ‘74. And this prompted the creation of the futures market [in 1978]. Because what happened was–it was actually coincided with the Yom Kippur War in Israel. And it was created by a blockade against oil in oil-producing countries. The U.S. was no longer, by this time, the major producer of oil. We had something called OPEC, which is the Organization of Petroleum Exporting Countries. It actually goes back to 1961 with Qatar. 1962, Libya, Indonesia. And then, we added the Abu Dhabi in ‘67, the United Arab Emirates, ‘74, Algeria in 1969, Nigeria in 1971, Ecuador in 1973, Gabon in 1975. So what happened was, although the U.S. broke the Standard Oil monopoly around the turn of the century, a new monopoly developed, and it was outside the U.S. And so, there was no trustbusters to break this monopoly. And so, what happened was, the oil exporting countries who belonged to OPEC, who wanted to use oil prices as a strategy to deal with Israel, they restricted their supply of oil. And it caused the first oil crisis right here. I was going to mention another historical fact that, I think, precedes this, but it’s part of the story. And that is nationalizations of oil. It used to be that big oil companies went around the world and found oil deposits. And then, they would buy the land, and they wouldn’t tell anybody what they were doing. They’d buy the land that had the oil under it. So, the oil companies were very rich. But there was discontent in the less developed countries, who sold them the land and thought, why did we get gypped like that? And so, they started a process. It started with Mexico in 1938. So, oil used to be owned by the oil companies. Mexico said, no, not any longer. It’s our national heritage. We never should have sold it to you. We’re just taking it back. This was considered outrageous at the time. No country should violate property rights like that. But it was kind of a leftist–the word nationalization was a new word. It was kind of like the people expressing their heritage. It started to take. Then, Iran in 1951. And then, other countries followed. So, oil got taken away from international companies and put under government control of less developed countries. And then, there was a monopoly called OPEC, and that produced this crisis right here. There was a second oil crisis in 1979-80. And this one, again, was associated with trouble in the Middle East. So, in ‘79, 80, we had the Iranian revolution, which again disrupted oil supply. So, 1979, 80 is the second oil crisis. And that is due to the fall of the Shah of Iran, and the arrival of the Ayatollah Khomeini, and the Iran-Iraq War. And so, you can see the huge increase in oil prices. These were real panic situations at the time, because people were not used to these–people were used to the stable oil prices, and it was just something taken for granted. But this put the world in a state of shock, because oil price really jumped up almost sixfold, about sixfold, in a matter of–how many years is that?–six, seven years. So, this left a lot of interest and enthusiasm for oil futures, and it became a major market of the kind we know about today. You know, what happened here? This mark. This is another–this is the second Iraq War, when Saddam Hussein was overthrown [in 2003]. And U.S. and other countries were involved in that. But what it did is, it cut off the supply of oil briefly, because the Persian Gulf was shut down because of a war. You can bet that the futures market was heavily backwardated right then, for oil. Because everyone knew that the oil prices were not–we weren’t running out of oil, we couldn’t get at it because of the war. And so, this was another oil-induced spike. Every one of these spikes produced a major worldwide recession, because the world wasn’t ready for these spikes enough. So, we see this huge spike in oil in ‘73, and a worldwide recession. Again, another worldwide recession [after 1979-80]. This one was called The Great Recession, people forgot that they called it that, and they use that term again more recently. And then there was another worldwide recession [in 1990-91]–every one of these did it. And so, you can see the fundamental importance of oil, and of oil futures, because oil futures is managing the risk. If you bought an oil futures contract, you weren’t impacted by this. If you bought a contract just before this, then the oil crisis doesn’t mean anything to me. It’s not my problem, because I’ve already locked in my price. And it’s really safe, because the way the futures markets work, they’ve got this daily settlement process. So, you don’t have to worry about your counterparty reneging. It’s very civilized. It’s a tough world out there, where they’re fighting wars, but in Chicago, where the futures markets are–or it was in New York back then–it’s a very civilized market. And so, look here, we have the latest spike. It’s even bigger. So, oil got to–I can’t even reach up there–oil got up to over $140 a barrel in 2008. That’s just a short time ago. Now, what did that? That is kind of a puzzle. It has something to do with the world financial crisis. But it’s not as well understood as a reaction to any military situation. So, it seems like there’s some speculative element that took place. See ultimately, oil is stored in the ground, and it’s owned by people, and they have to decide how to develop it and how fast to produce it and sell it. And there were some quick changes of thinking around then, that surprised everyone, I think. And oil is, again, up above $100 a barrel right now. Just we saw in the futures curve. So, actually the futures curve that we saw would look kind of unimpressive on this diagram, right? It would be just going up a little more and a little down, not big swings that are predicted. I just want to finally conclude with financial futures, which I didn’t emphasize in this lecture. But we also have futures markets in financial commodities, and I’m just going to tell you about one of them. It’s called the S&P 500 futures market, index futures. And now, in effect, you have to deliver not oil, or rice, or wheat, but you have to deliver the S&P 500 index. How do you do that, by the way? How do I deliver 500 stocks? Well, there’s a procedure, and it’s called cash settlement. It’s different. Instead of showing up at a warehouse with your trucks full of wheat, you only show up with the money, because they don’t expect you to do that with stocks. Same formula. This is the interest rate. And this is the dividend yield. So now, whether the futures price is above or below the spot price, is less clear here, because it depends on whether the interest rate is higher than the dividend rate or lower. At this point in history, for short time horizons, the interest rate is less than the dividend rate. We have about a 2% dividend yield on stocks, and we have essentially a 0% interest rate. So, for short horizons, we’d expect to see the futures price less than the spot price in stock index futures. But at longer horizons, I think that would be reversed. But this market is very clear. The fair value relationship is highly predictive of futures prices in the S&P 500 index futures, because there’s always storage of stocks. We never deplete the warehouses of stocks, so they’re always there. And so, that means that the futures curve is less interesting for stocks than it is for oil. All it does is reflect fair value. And so, it’s not like oil, where the storage situation is very complicated, and it’s constantly changing. So in a sense, the S&P 500 index futures is not so much about the future. The futures curve is not so much about the future of the stock market. So, don’t make the mistake of looking at the futures curve for the S&P 500, and thinking I’m going to forecast the market using this curve. You can’t. Basically, the S&P 500 is very hard to forecast. And the futures curve doesn’t do you anything, because all it reflects is fair value. So, some futures markets, like gold futures is like this also, there’s always gold in storage, it never gets depleted to zero. It’s always being stored, so the gold futures curve is not so interesting, either. Next, after the midterm exam, which you have coming up on Wednesday, we will come to options pricing. And that’s another fascinating market that we’ll talk about.